How to get the best touchscreen POS systems for your business....with no upfront costs, low fixed monthly fees, lifetime warranty and support! All salon and spa merchants in Bakersfield, California, Las Vegas, Arizona, Colorado, Texas, Florida and the rest of the USA can now join our Free Touchscreen POS placement program! All restaurant, bar, and nightclub touchscreen POS merchants in Bakersfield, California, Colorado, Nevada, Texas and the entire USA, new partnership with Harbortouch POS and John Taffer's Bar Rescue will help you make more profits! Free Touchscreen POS system solution to Windows XP end of support for all California and USA based merchants using POS systems. All California and USA based touchscreen point of sale system merchants, running on Windows XP software, will need to upgrade their software. Some merchants will even be forced to buy or lease new touchscreen POS systems, as if their POS hardware is too old, the Windows 8.1 upgrade will not work. USA California and Bakersfield Restaurant Touchscreen POS merchants will now get Tabbedout's Mobile Payment, Loyalty, and Customer Engagement module with their Free Harbortouch Touchscreen POS systems. California and Bakersfield restaurant merchants-A touchscreen POS can reduce errors and help merchants stay in compliance with California labor laws. USA California and Bakersfield Restaurant Touchscreen POS merchants can now get Free Reservations modules with their Free Harbortouch Touchscreen POS systems.Save $100's a month. Harbortouch Reservations enables restaurants to manage all incoming reservations directly through the Harbortouch POS system or via Apple iPad. USA, California and Bakersfield Touchscreen POS restaurant, retail, and delivery merchants take notice. Hello merchants. 2012 has been a very busy time for us at FreePosPros.com and Harbortouch. 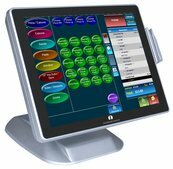 Harbortouch recently added many new functions and enhancements to the revolutionary Free touchscreen POS program sweeping the USA.